This year the Hootenanny events went from creating T-shirts to posters and my options for design concepts could now incorporate four-color ideas with the change in printing process. I suggested a Phoenix theme for the Spring event - fire / rebirth / spring and a new beginning all seemed to be congruent so the idea was approved. 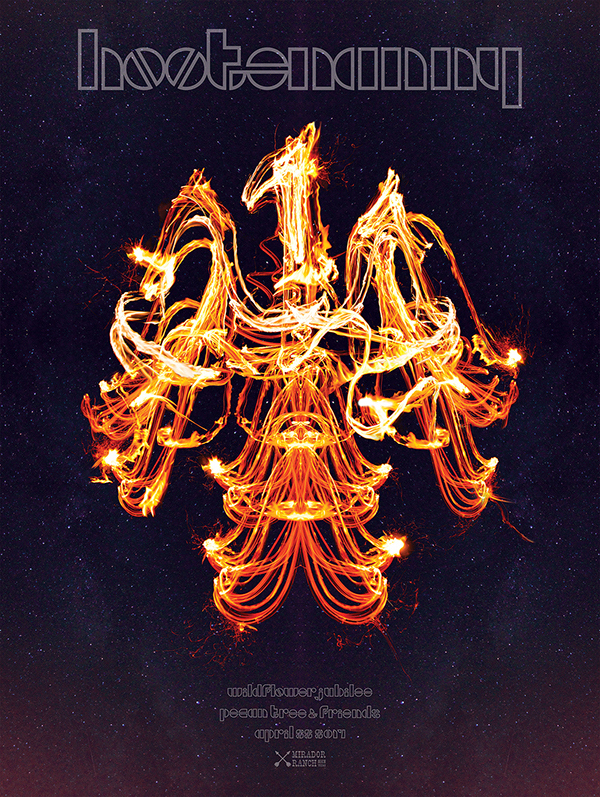 This is the result of taking many long exposure open shutter photos of fire, and then combining many of those images to create the final Phoenix. I also referenced the Doors typeface "Densmore" for the typography, but I redrew several of the characters to keep the overall geometry in place and give them a more contemporary feel. Event Poster for a Food Drive organized by poets and artists.